You are going to Watch Naruto Shippuden Episode 256 English subbed online free episodes with HQ / high quality. 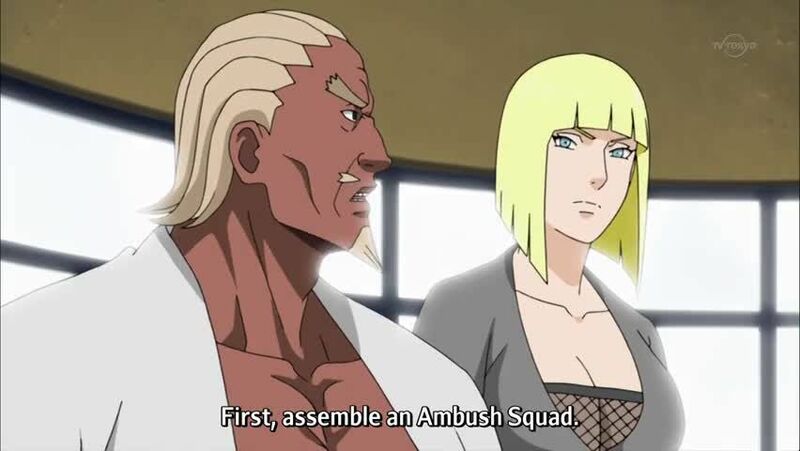 Stream Anime Naruto Shippuden Episode 256 Online English sub Assemble! Allied Shinobi Forces! Onoki transports the giant turtle safely back to the Hidden Cloud Village, while inside Killer Bee starts to train Naruto. At the outskirts of the Akatsuki hideout, Tokuma uses his Byakugan and discovers the White Zetsu Army beneath them then relays their discovery to the Five Kage. The Allied Shinobi Forces now assemble and are divided into five battle platoons based on their combat specialty, as well as 3 support platoons; Intelligence, Medical/Logistics and Reconnaissance. Gaara assumes the position of Captain of Batlle Squad Four, and Commander in Chief of the 5 battle units. Meanwhile at the Akatsuki hideout, Kabuto now summons his undead army composed of former members of Akatsuki, previous Kage, and other powerful ninja that include the Jinchuriki who died by the Akatsuki’s actions. Furthermore, the White Zetsu Army’s abilities are bolsters thanks to Yamato being secured below the Hashirama clone. With their forces White Zetsu and reanimated ninja assembled, Tobi and Kabuto leave the hideout to signify the start of the Fourth Great Ninja War. 4.5 / 5 - 5 ratings.